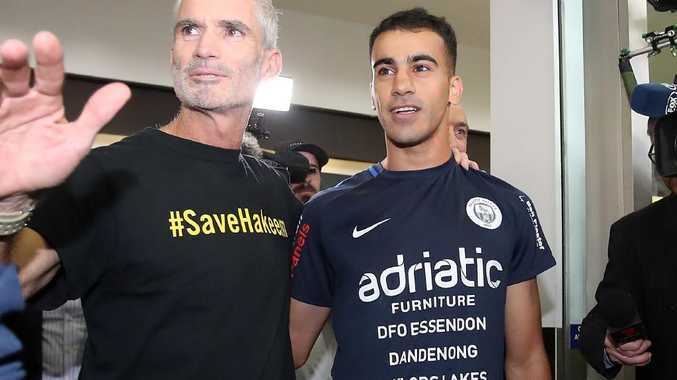 A SMILING Hakeem al-Araibi has landed in Melbourne to a welcoming parade of hundreds of supporters. The refugee footballer and adopted Australian landed at Tullamarine Airport after 1pm on Tuesday. He appeared to be in good health as crowds cheered his through the gates towards a massive media scrum. Al-Araibi, 25, spent more than 70 days in a Thai jail after being arrested in Bangkok on November 27. He had travelled from Melbourne for a honeymoon with his wife when authorities in the Thai capital acted on an Interpol red notice from his former country, Bahrain. Bahrain sentenced Al-Araibi in absentia to 10 years in prison over an act of vandalism. But Al-Araibi and his supporters say he was not involved - they say he was playing a televised football match at the time the crime was committed. Craig Foster, the former Australian football captain who spearheaded efforts to free the 25-year-old, said he spoke with Al-Araibi's wife on Tuesday morning about 4am AEDT as the plane took off and the ordeal was officially over. "We were very nervous and cautious until we got word from the embassy in Bangkok that he had taken off," he said. He said the family was ready to celebrate together and that he expected a large turnout at Tullamarine Airport to welcome the former Bahraini footballer home. Al-Araibi was seen chatting happily with other passengers before boarding the flight, Reuters reported. Prime Minister Scott Morrison delivered the good news to reporters in Canberra this morning. "Hakeem al-Araibi has left jail," he said. "He is on his way to the airport, the next step is for him to return home. Foster said the PM should take plenty of credit for "a fabulous job" on a diplomatic level in communicating with authorities in Thailand and Bahrain. Bahrain dropped the case on Monday amid mounting international pressure following the release of video that showed Al-Araibi shackled and limping. He was shoeless. The 25-year-old had faced at least another two months in jail after a court in Bangkok last week set down his pre-trial extradition hearing for April 22. 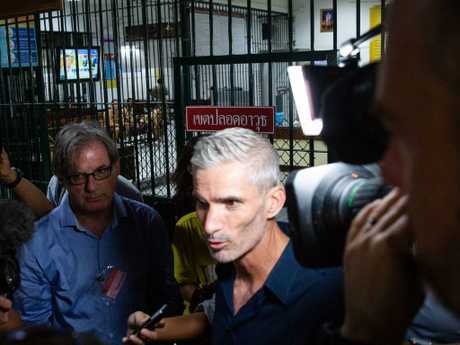 Support for the young footballer's release was galvanised by Foster with FIFA, the International Olympic Committee, and high-profile players calling for Thailand to free him. "This is a win for humanity, for the power of citizens of the world demanding that human rights be protected," Foster said in a statement. 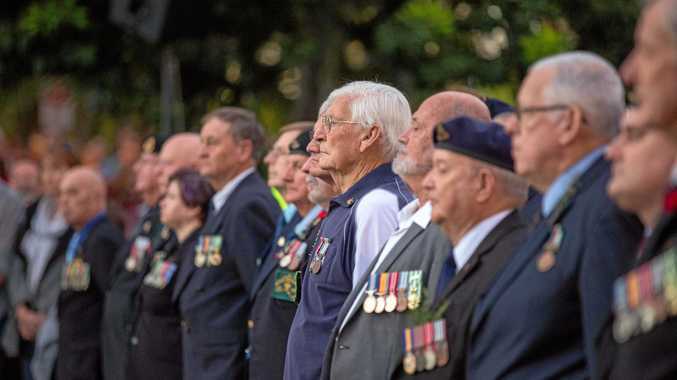 Football Federation Australia thanked the Australian and Thai governments. Sayed Ahmed al-Wadaei, from the London-based Bahrain Institute for Rights and Democracy, said the decision was a huge victory for the human rights movement in Bahrain and the rest of the world.